The 2018 Winter X Games kick off today in Aspen, Colorado, and we thought we’d honor the occasion by taking a glimpse into the annals of freeskiing history, all the way back to 2008. Let’s start this nostalgic voyage with the Big Air contest and Jon Olsson. Yes, back in the days before Jon became a videolog superstar with a house in Monaco and a series of expensive cars, he was actually a competitive skier! Not only that, in 2008 he was at the top of the game, leading the wave of new double flips that would revolutionize the sport. His signature trick? The kangaroo flip—what kids today might call a double flatspin 900—a trick that Jon perfected while training in Australia (hence the name). 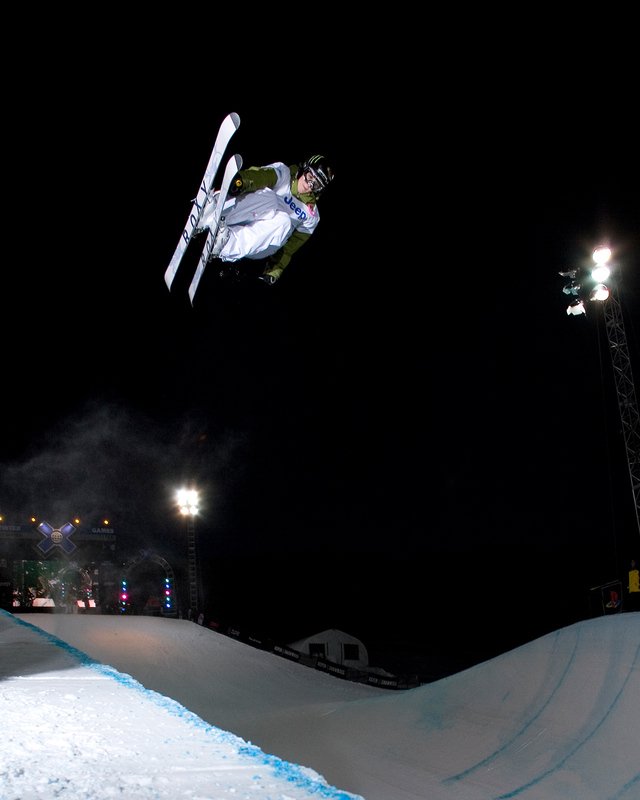 Let’s move on to slopestyle, where Andreas Håtveit took the win. This was the age of the switch 1080, the trick that dominated competitions until the double cork came along, and here’s Andreas dropping switch tens left and right (literally) and capping it off with a switch 12 for the gold. This, all before Håtveit started building the best backyard park ever. Next up: Women’s Halfpipe, where the late, great Sarah Burke won what would become her second of five X Games gold medals in the pipe. Four years later, Sarah died in a training accident at Park City, Utah, just two years before her dream—halfpipe as an Olympic sport—would become reality. We scoured the Internet for video footage of Sarah’s run, but came up empty-handed. So here’s a still shot of Sarah on her way to the win, with a run that would still stand up in competition today. If you're too young to know who Sarah Burke is, you'd better watch this. Last but not least: Tanner Hall wins Men’s Superpipe Gold! Ski Boss (we didn’t call him that back then) was on fire, skiing like a man possessed on his way to what would become his seventh X Games gold medal. His run may not seem all that progressive by today’s standards, but that alley-oop flatspin 360 was a revolutionary trick back in 2008. Bonus video: Simon Dumont at X Games 2008!